Unification of projects between Veracel and Fibria on a single platform defines the progress of initiatives involving landless worker movements in the territory. The agrarian issue is a historical problem in Brazil that challenges diverse stakeholders in conflicts for the land use. For Veracel, it is a sensitive and prime subject so in addition to the sustainable management of our forests and landscape management, our work targets mainly the dialogue and joint development of feasible solutions for land use bases on a common agenda for the communities’ socio-economic development. We have undertaken efforts in a sustainable settlement project that won reinforcement in 2017 by joining the initiatives from our shareholder Fibria on a single platform to support family farming in four social movements of landless workers, involving more than 1,100 families. 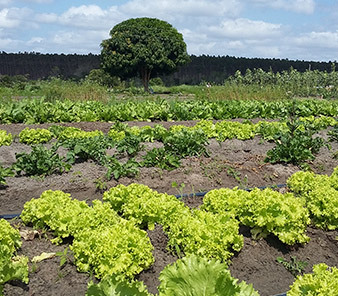 The Sustainable Agroecological Settlements project began in 2012 based on an agreement among Veracel, the government of the State of Bahia, the National Institute for Settlements and Agrarian Reform (Incra, in Portuguese acronym) and six social movements. It originated from the need to create a dialogue channel with movements as a way to resolve conflicts related to the use of the company’s land in 2008- 2011 period. It has the technical support from the Luiz de Queiroz Agriculture College of the University of São Paulo (Esalq/ USP) to conducting a series of activities ranging diagnostics to training and partnerships. 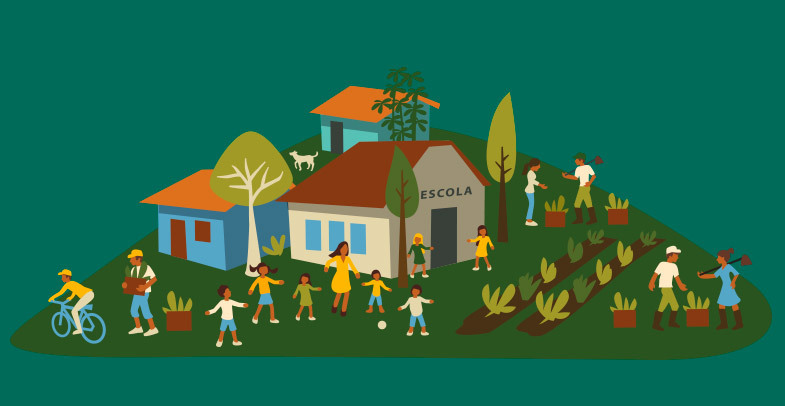 In 2017, the project gained the initiatives have been carried out also by Fibria with social movements in Bahia and is forming a unique and integrated platform. “This joint effort is fundamental to position the project in the territory, strengthening this unprecedented institutional arrangement and bringing more robustness to the governance”, said João Dagoberto dos Santos, technical and scientific coordinator of the project at Esalq/ USP. The main objective of this initiative, which is now unified, is promoting the social transformation of the territory based on a long-term planning and activities in the fronts of family agriculture, education and health. In order to guide the Sustainable Agroecological Settlements project’s activities, socio-environmental diagnoses of the involved families were carried out to determine the settlements’ productive profile and to identify the custody chains of the agricultural products in the region, as foundation to design the productive development of the new settlements. The project also includes the training of farmers, participative planning of the production, land use and environmental suitability strategies, in addition to the literacy (See more about the activities in this front in Education Quality chapter). Em 2017, além da continuidade das atividades de capacitação de agricultores e planejamento participativo-produtivo, as etapas de planejamento ambiental deram sequência com ações de organização e parcelamento de áreas ocupadas, quando 70 famílias deixaram os acampamentos e foram instaladas em fazendas. 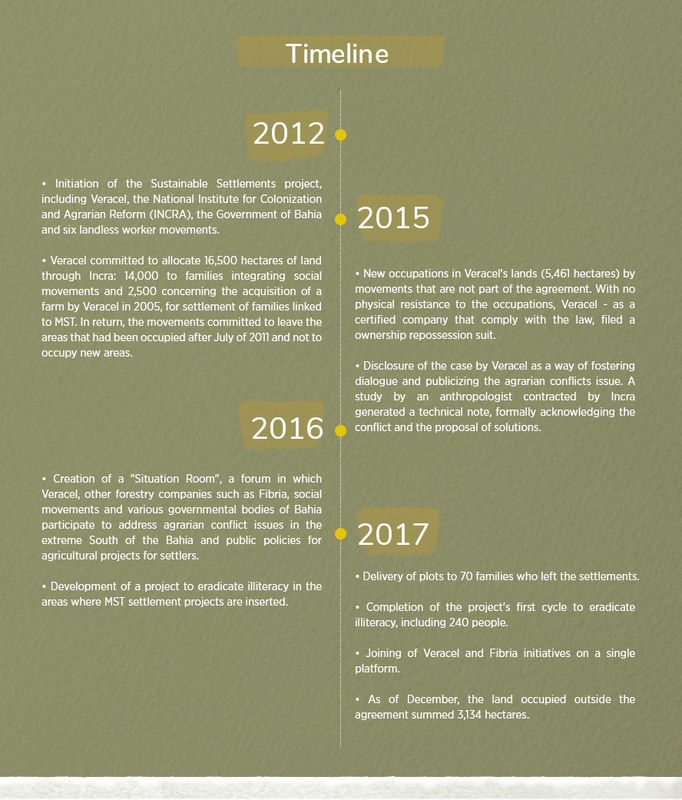 At the time, we committed to allocate 14,000 hectares of land to the families integrating the movements through Incra and 2,500 additional hectares for settlement of families linked to MST, concerning the acquisition of a farm by Veracel in 2005. The total of 16,500 hectares represents about 20 percent of the company’s productive areas. In return, the social movements committed to leave the areas that had been occupied after July 2011 and not to occupy new areas.